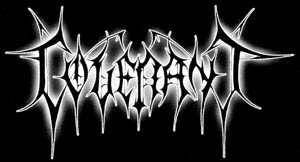 After having earlier discovered Ebony Tears, this year had become yet more interesting with the release of Covenant's second CD, "Nexus Polaris". With members for bands such as Mayhem, Dimmu Borgir and Cradle of Filth (even though the latter confines itself to oral contributions of Sarah), this just has to be good. And it is, I am glad to say. Although often blamed for being too accessible, not enough black metal, "Nexus Polaris" has its appeal in the great songs. Lyric-wise they don't say a lot and are riddled with English errors (having been a teacher of English I cannot help but notice these things), but musically it pleases me infinitely. Nagash' style of singing is really cool, too. Especially a song like "Last of Dragons" is a most excellent track.